The Australasian Union of Jewish Students has launched a new campaign to put Israel in context for university students. 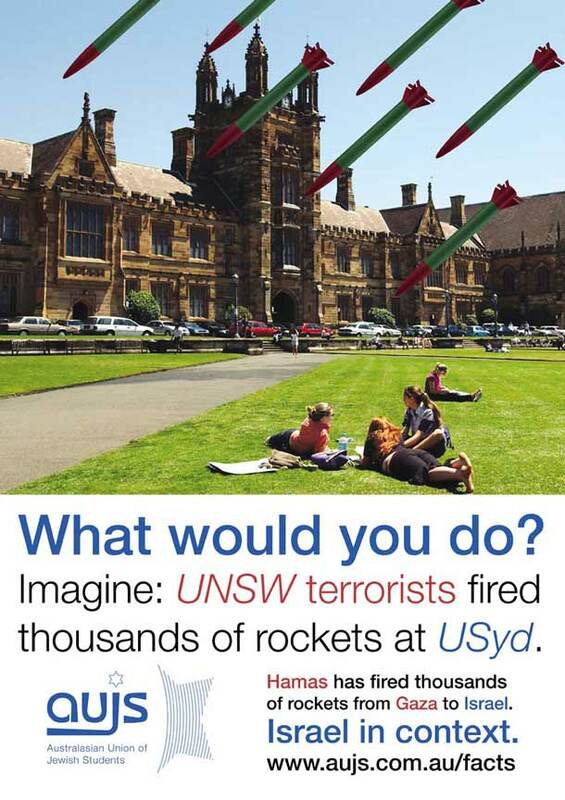 The campaign focuses on imagery of university campuses under rocket fire with the text ‘what would you do?’. “This intentionally provocative campaign puts students into the shoes of innocent Israeli civilians who are faced with a barrage of rocket fire every day of their lives” AUJS Political Affairs Director Matthew Lesh said. 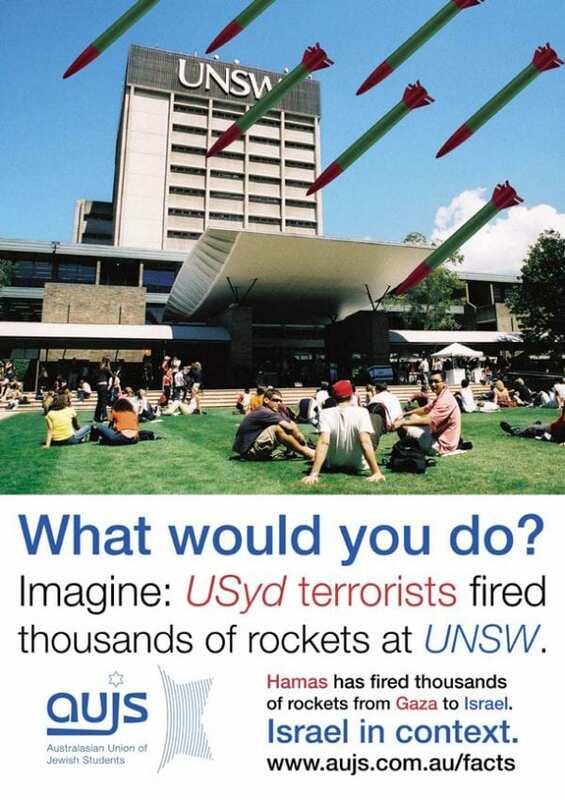 The poster is adapted for each campus to display the local campus under rocket fire, with the text asking readers to imagine was another nearby university that had been firing rockets. 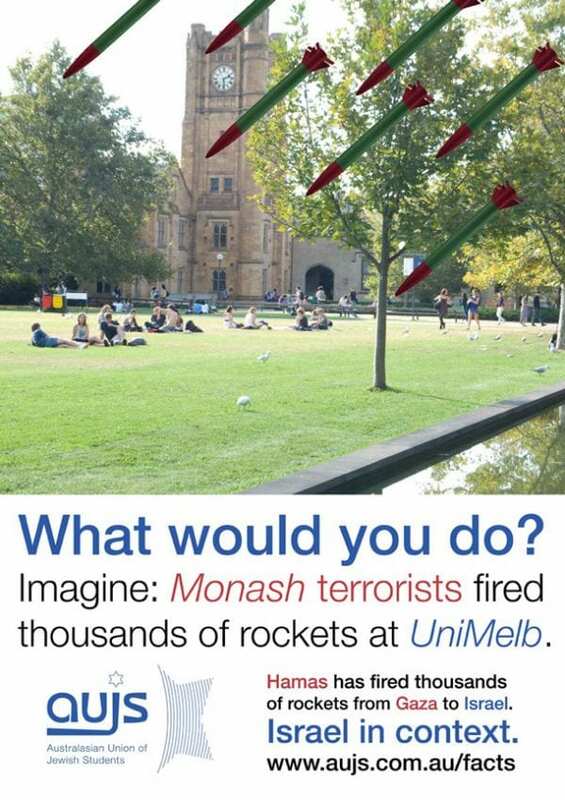 The posters ask University of Melbourne students to conceptualise that Monash University terrorists are firing rockets at their campus and the University of New South Wales students to imagine that University of Sydney terrorists are firing rockets at their campus, and many other combinations. 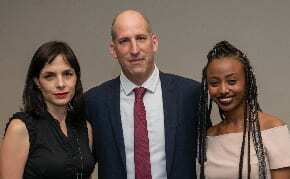 “The idea that somebody close-by could be indiscriminately attacking you with rockets sounds ridiculous, but this is the daily life of Israeli citizens,” Mr Lesh said. Additionally, AUJS has developed a series of Mythbuster pamphlets with myths and facts about the conflict to address the extensive misinformation on campus. “We have seen groups on campus spread blatant lies and propaganda to support their anti-Israel campaign,” Mr Lesh said. “These individuals ignore the fact that every Hamas rocket is a war crime, that Hamas has been spending tens of millions building terror tunnels and encouraging their citizens to act as human shields. “It also ignores the work Israel has done to protect Palestinian civilians and the extensive warnings process before strikes. The campaign will be implemented at university campuses across the country over the coming weeks, including extensive postering, stalls to educate students with pamphlets, guest speakers, an extensive website, and ongoing social media posts. Raoul ,If it wasn’t so serious it would be farcical. 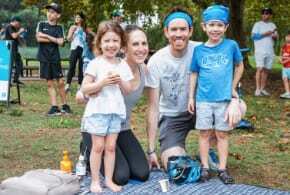 Here we have a non – Jewish secular group that has once again [ organized pro- Israel petition against the racist Marickville Council BDS campaign ] stuck it’s neck out to support Jewish Israeli Human Rights and by organizing this latest Support for Israel /Petition and we have once again Left wing , Progressive Jews poo=pooing any Israel advocacy . The Palestinian keep reminding us that their wonderful leaders Hamas have been democratically elected they have brought this disaster upon them selves. It’s a bit like the Germans during WW2 complaining about the bombing of their cities by the Americans caused by their democratically elected leaders. I strongly suggest the Palestinians ‘ democratically elect new leaders. I feel for the mothers of the brave IDF soldiers. Are these people posting thus far (with exception of Raoul) really Uni. students?! If so, I despair for their analytical qualities and intellect … What brain-washed non-thinkers, unable to call on their imagination to create scenarios not already adhered to. Probably wear kaffiyehs, too. Is it too much to ask that they bother to at least consider the Israeli/Jewish side of things? 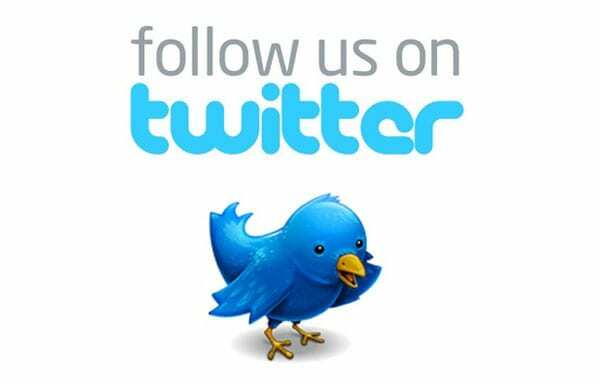 Will it not be part of their tertiary education to develop capacity for unfettered thinking that takes into account all kinds of possibilities? If so, they’re already showing signs of being bogged down. Oh man, the irony inherent in your post is just ridiculous. Go complain about people being “unfair” to you because they don’t lap up this rubbish campaign somewhere else. I reckon if I was trapped inside Monash University, with limited drinking water, poor sanitation, a blockade on the movement of food and medical supplies coming in and out, people calling me a terrorist when I dig tunnels to try and get stuff in, and Melbourne Uni had one of the largest militaries in the world, bankrolled by the USA, periodically bombing me, I’d start launching rockets. I certainly wouldn’t buy into the Fascist Orwellian doublethink that somehow I was only to blame for my own need to resist. ‘imagine you were trapped in your uni, there wasn’t enough food or water, and someone kept bombing all the buildings you were trying to shelter in” what would you do? pretty see thru – how stupid do you think uni students are? Well… I wouldn’t start bombing hospitals and schools and killing children, that’s for sure! As a Melb Uni student, I suppose i would have a few options. 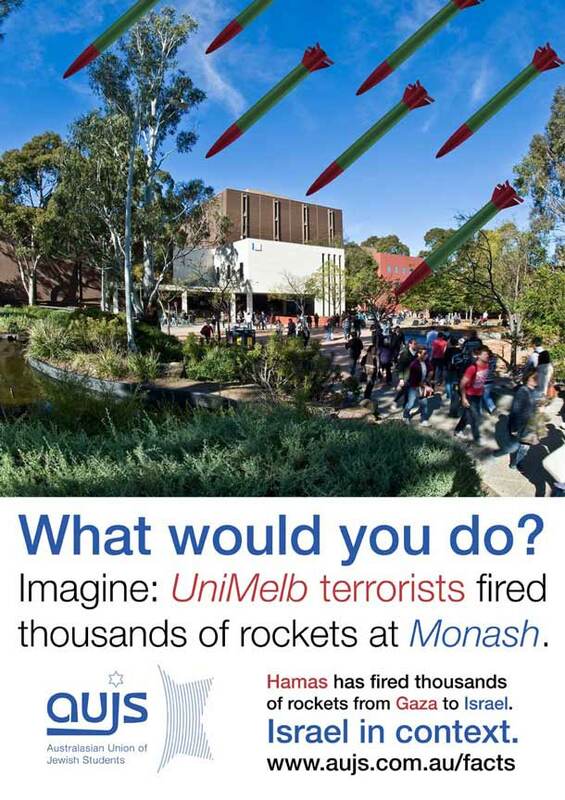 I could bomb Monash to smithereens, and then invade and occupy it, killing hundreds of students and their families in the process. Or I could try and find out why the hell they are so mad at Melbourne Uni. Hopefully this will turn on the lights at least for some of our historically illiterate students. Sadly most universities have succumbed to the clever marketing of the dahwa gigolos. 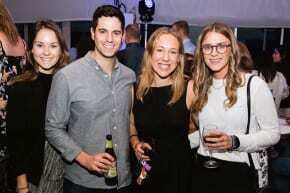 For far too long Israel and the Australian Jewish community is only runner-up in the PR war.